Aware of this discovery, David's uncle tricks him into boarding a ship, where he is then hit over the head and wakes up to find himself at the mercy of an ill-tempered crew which plans on selling him to into servitude somewhere in the Carolinas, far from his uncle. Once at sea, the crew encounters a mighty storm, which causes the ship to smash into a smaller boat. The crash kills everyone aboard the smaller vessel except for the Jacobite, Alan. Alan boards the ship and offers money to the captain in exchange to be taken to the mainland. Once on board, David overhears the crew plotting to kill Alan in order to take all of his money. Bonding together, David and Alan barricade themselves inside a room and end up killing several crew members. 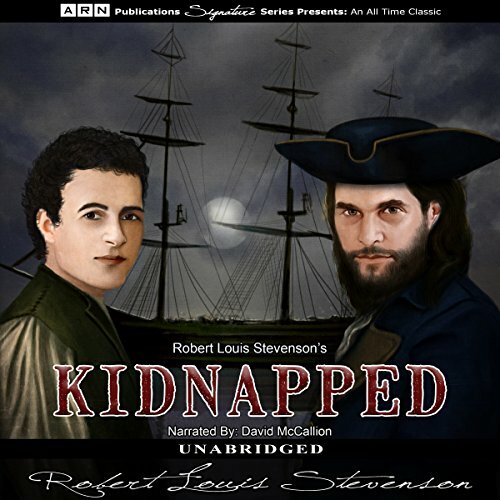 Left with no other choice, the captain gives in and agrees to deliver both Alan and David safely ashore, where David must then confront his uncle about the estate's ownership. The story depicts the development of a young boy into a fine young man through the misadventures he has, in the real world.